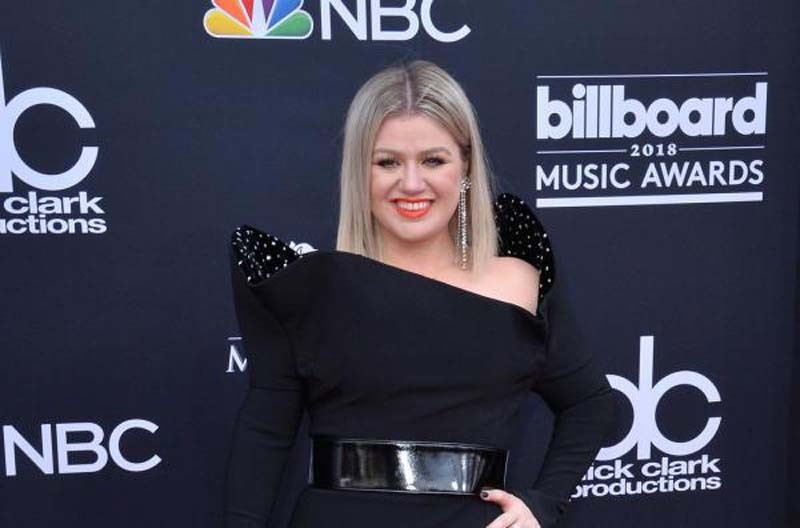 Host Kelly Clarkson paid tribute at the start of the Billboard Music Awards show to the victims of Friday's mass shooting at Santa Fe High School in Texas. A 17-year-old boy has confessed to killing 10 people at the school. Struggling to contain her emotion, the star told the crowd Sunday in Las Vegas: "I'm a Texas girl and my home state has had so much heartbreak over this past year and, once again, y'all, we are grieving for more kids that have died for just absolutely no reason at all. "Tonight, they wanted me to say that, obviously, we are going to pray for all of the victims. We are going to pray for their families. But they also wanted me to do a moment of silence. And I am so sick of moments of silence. It's not working, obviously," she laughed nervously. "Sorry. So, why don't we not do a moment of silence? Why don't we do a moment of action? Why don't we do a moment of change? Why don't we change what's happening? Because it's horrible. And mommas and daddies should be able to send their kids to school, to church, to movie theaters, to clubs." "You should be able to live your life without that kind of fear. So, we need to do better," she continued. "We need to do better. As a people, we are failing our children. We are failing our communities. We are failing their families. I have four children. I cannot imagine getting that phone call or knock on the door." The first performer of the evening was Ariana Grande, who experienced violence first-hand when a suicide bomber attacked her 2017 concert in Manchester, England, killing 22 people and injuring dozens more. After that, Clarkson returned to the stage and sang a medley of songs by the night's nominees.